It's time for another challenge over at Frilly and Funkie. This time Kathy is the hostess and she has chosen the theme "HOME FOR THE HOLIDAYS". She would like you to create some home decor for the holiday season. You can make centerpieces, wreaths, banners, ornaments, wall hangings, or little vignettes... basically anything BUT a card for this challenge. If you don't celebrate Christmas or Hanukkah or Kwanzaa, then just make some home decor with a wintry theme. One lucky winner will receive a $25 gift certificate to Linda's shop The Funkie Junkie Boutique! These photos are all from a couple of weeks ago. 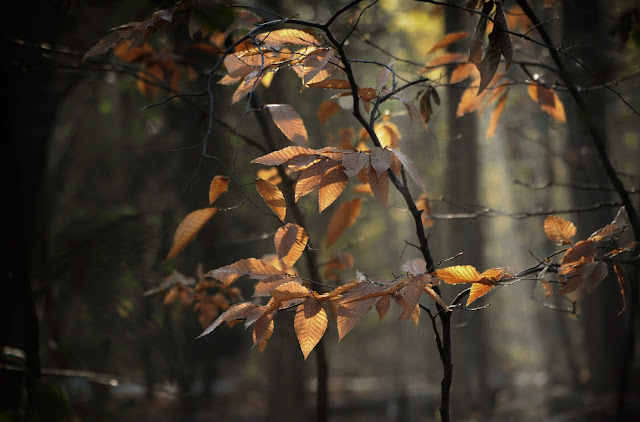 For my landscape photo today, a few beautiful leaves clinging onto their branches. and a Red Breasted Nuthatch grabbing a snack from my hand. This is normally where I would put a photograph of BON JOVI. There will be no more photographs of my beautiful ginger squirrel. HENRY is having a hard time finding any green leaves to munch on, so I take lettuce with me now. This sweet girl flashes me one last thank you glance before disappearing into The Shire. 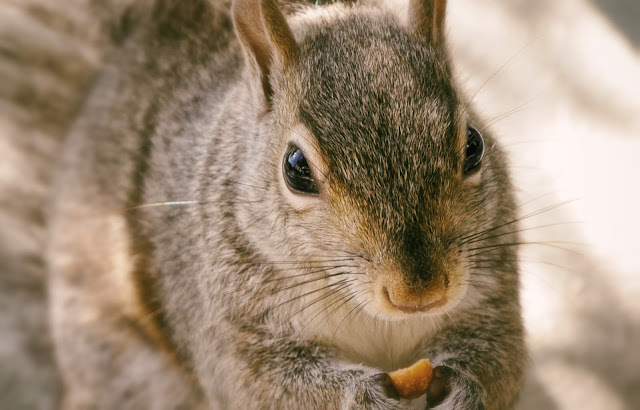 "Beggin your pardon Ma'am, but if you wouldn't be offended, I'll just stay here and you can throw me a peanut. If it's not too much trouble, that is." No reason why you can't enjoy breakfast and grab some sun at the same time! Back on the home front, we have ROCKY, wet as all get out! Oh isn't he a hoot! And my sweet sweet precious KAREN having a nibble. I can't wait to show you how she looks now. She's growing in her winter coat and she's doubled in size in the last few weeks! HA! Last but not least, my macro for the day. How long I did not visit your blog, Pamellia !!! But now I had a huge portion of beauty, ho, ho ... leafing through the posts in two months! Beautiful cards! But even more amazing are beautiful your photos ! 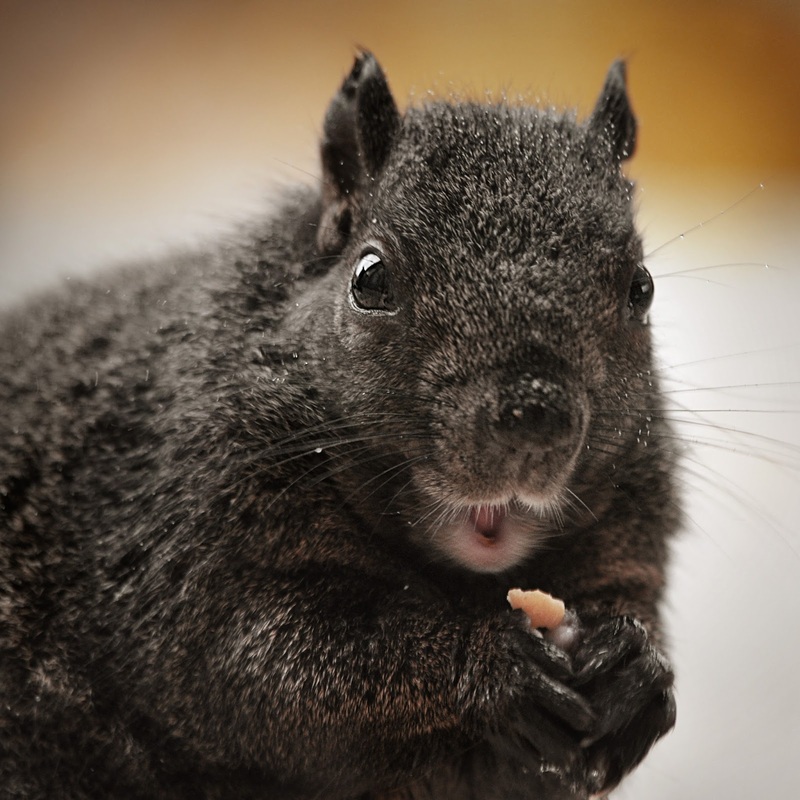 Thank you very much for the pleasure of contemplation of nature, amusing squirrels, etc. Sorry to hear about Bon Jovi. Your home decor art is stunning and I adore the way you dressed up the stag head with the glitter and beautiful flowers and pinecone. Gorgeous design and I am sure it looks fabulous in your house. Thank you so much for de sweet comment on my blog Pamellia! 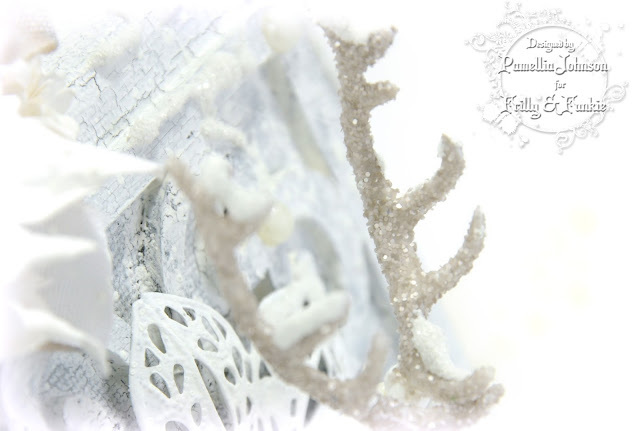 give me so much inspiration...wonderful Christmas home decoration! Just catching up (nothing new there) gorgeous creation, off to see what else you've been making. I am so saddened by what happened to Bon Jovi. I don't understand people. Your project today is beautiful as well as your photos. 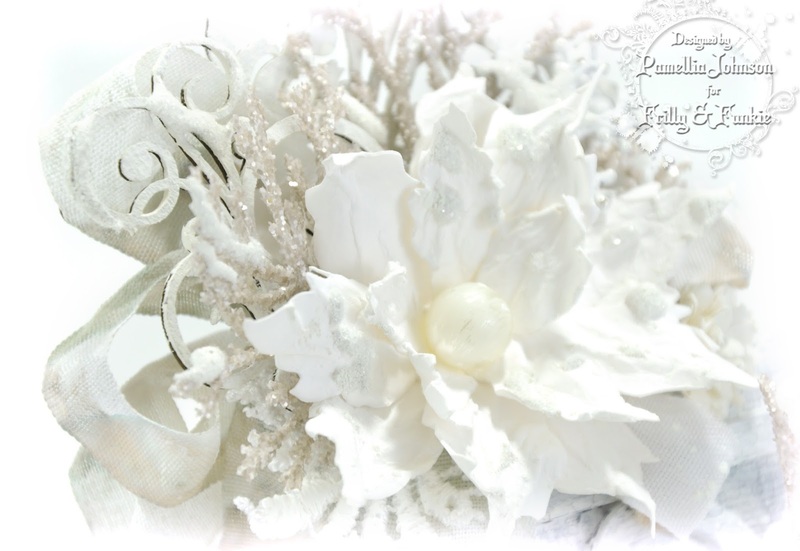 Gorgeously shabby chic decor Pamellia! Love the color combo. Another lovely creation. Love the cool colour palette and all the shabby elements. Hi Pamellia... Your creation is pure bliss! LOVE the colours and the softness of this and it's so pretty! Brilliant photos once again ... You bird shots are so clear and I'm saving that sparrow shot ... Going to try and draw him and paint him too so thank you for sharing! Have a lovely day! Oh Pamellia... poor dear Bon Jovi, such a senseless act of barbarism, my heart goes out to you! 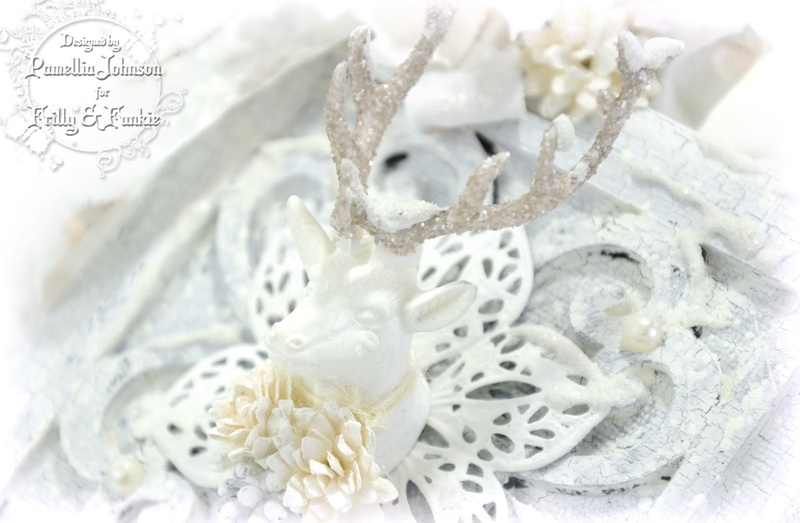 Your hanging is just stunning, the stag head is a wonderful addition and he looks splendid in his sparkly antlers and the white poinsettia is gorgeous! PINNED this beauty! It's so hard for me to do all white, and you've done it beautifully. I LOVE the deer too...so elegant and yet shabby! Gorgeous work! Another lovely Christmas creation Pamellia. Your project is gorgeous, as always. So delicate and beautiful, love the subtle frosty colours and the sumptuous flower. What a stunning project Pamellia..gorgeous soft colours...and my heart breaks for you with the passing of Bon Jovi..why is ths man not reported..caught and prosecuted..I have a few choice words to call him and I'm so sorry..
what a very stunning and beautiful creation. 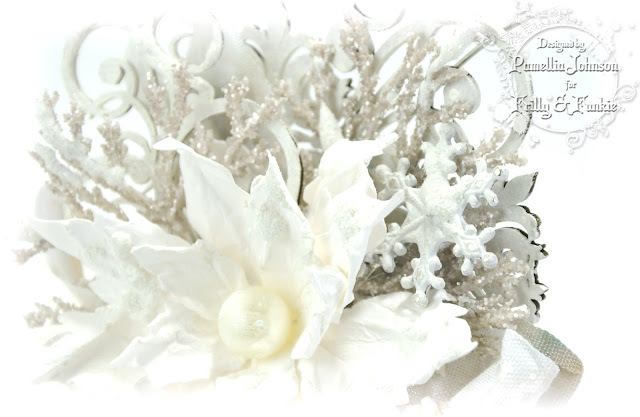 I love the all white design and your poinsettias are so pretty. It looks quite frosty looking just like outside this morning. We had 5 below last night. 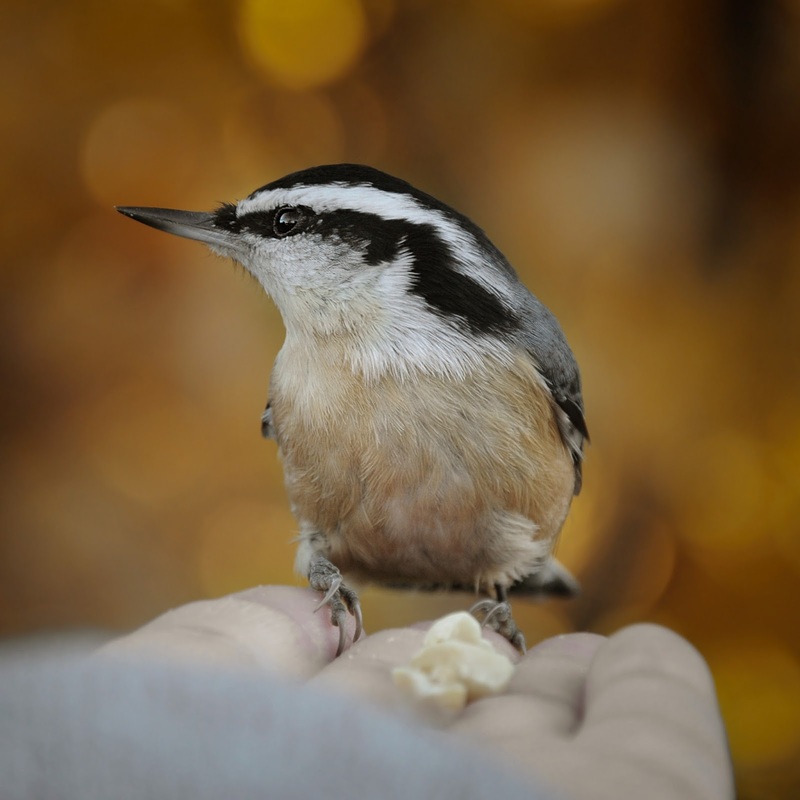 Wonderful photos also and my the birds must love you to eat off your hand. 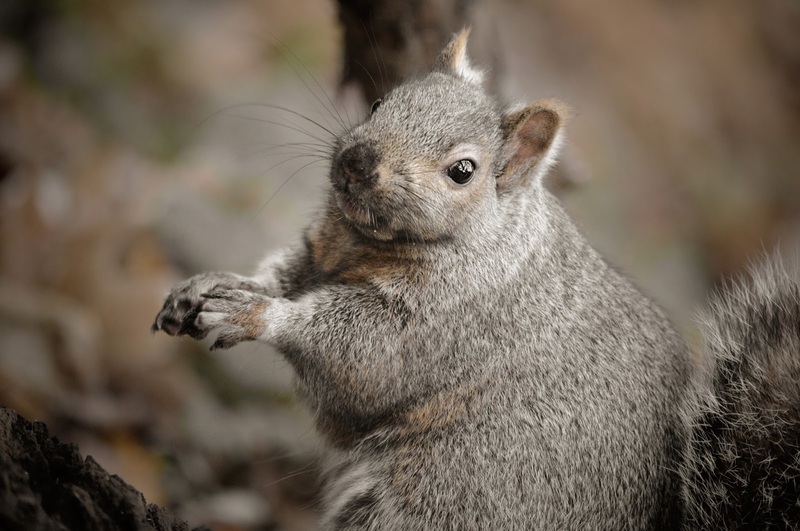 I see you have a new geeration of squirrels and I love the names you give them and your wonderful comments about what they are up to. I am just going to see what happened to poor Bon Jovi. Beautiful Christmas home decor project Pamellia, love the stunning layers and embellishments. Sweet and lovely home decor, love that deer with the snow on his head! Fan crackled frame and very elegant poinsettia!! You have done so well to put in your bag the lettuce for Henry, too! 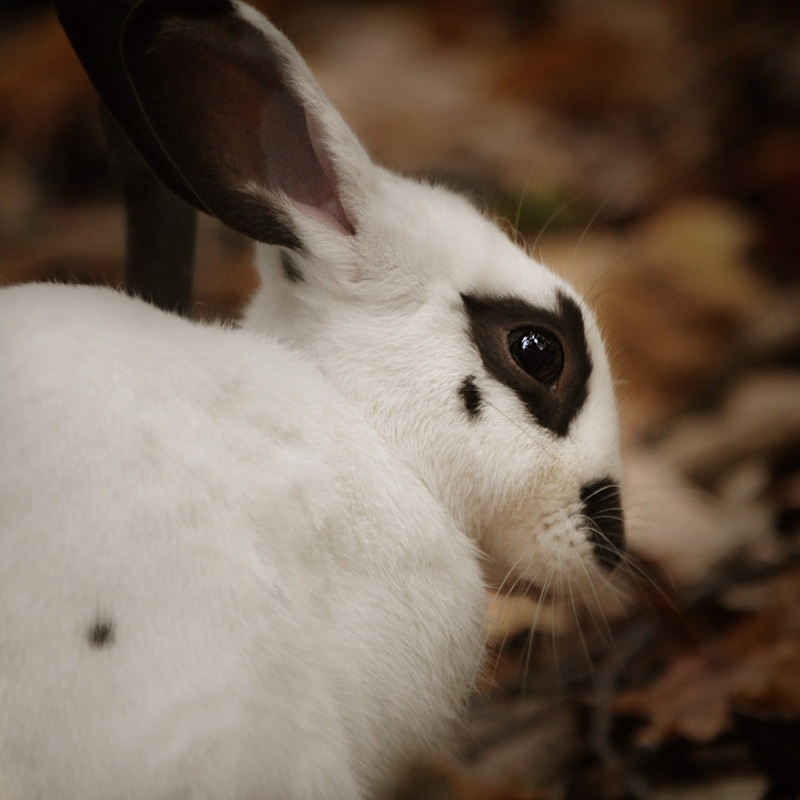 I think he will like some carrots, too ;D Poor bunny the beautiful autumnal leaves aren't yummy! 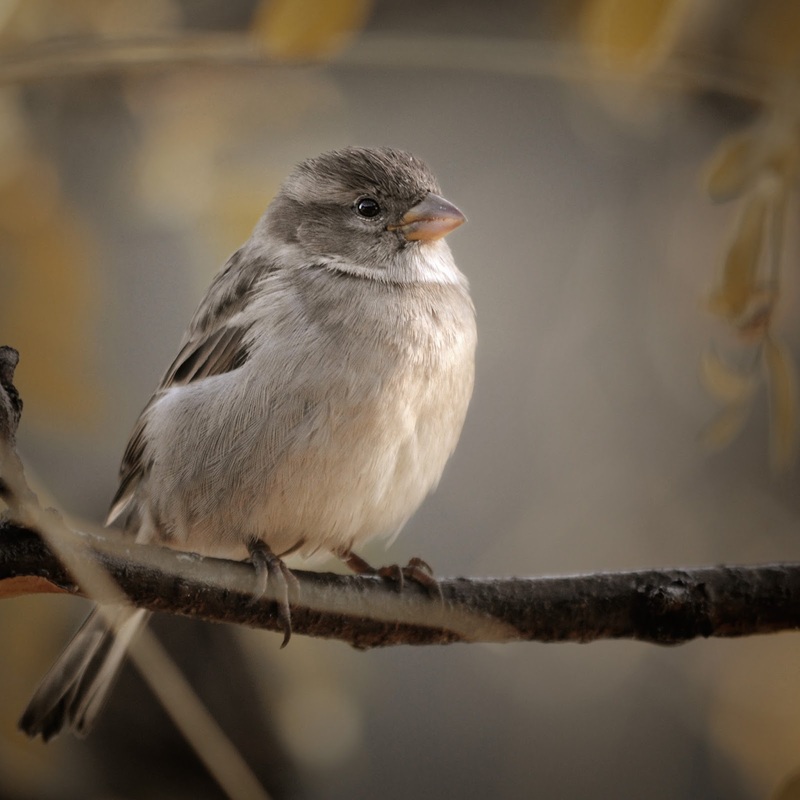 Love that little sparrow, how sweet she is! The squirrels make always me happy and smiling a lot, as well your funny words for their poses! :) Thank you, I love very much your wildlife reports! An amazing project and beautiful photos. I have visited your other post. Take care of yourself. oh no Pamellia, I am so, so sorry about Bon Jovi! I am saddened for you~sending you big hugs my friend! Your Home Decor piece is incredible! I love the soft blue, white and gold! The crackling looks amazing..your work is always so spectacular!! LOVE this! What a beautiful piece of art Pamellia - it is a joy to behold. So sorry to hear of Bon Jovi's demise - hugs and prayers dear friend. 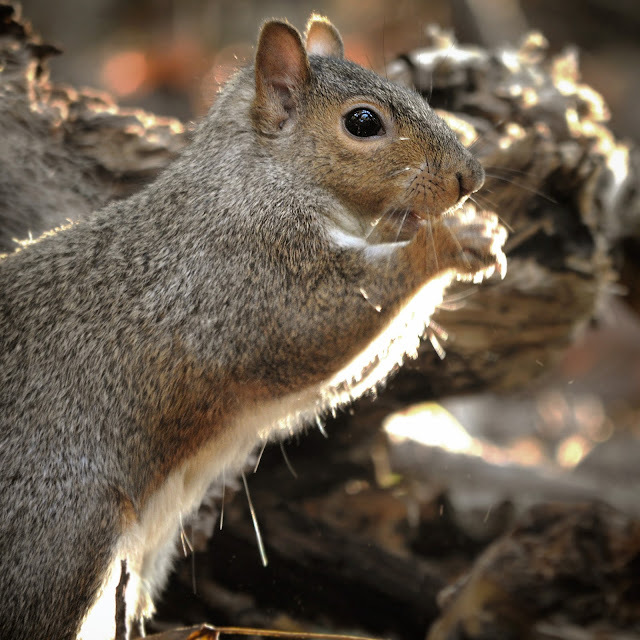 Your squirrel family looks so beautiful - you really do them justice with your photographs. 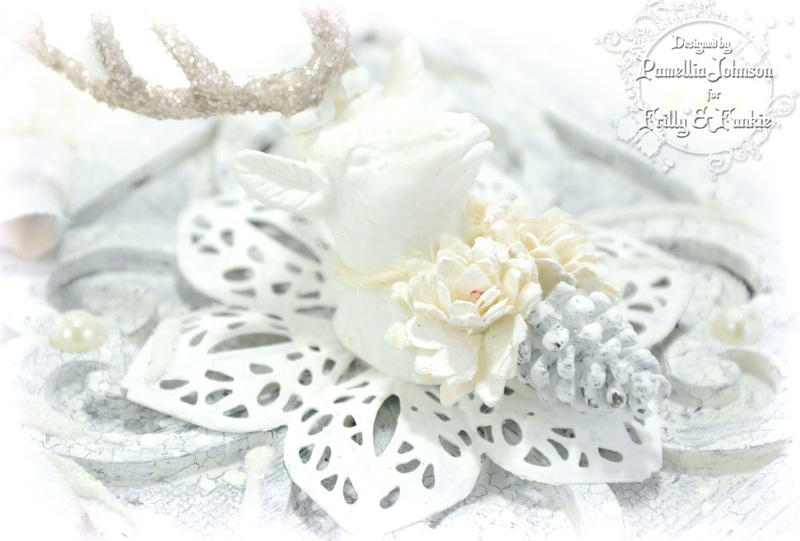 Fabulous wonter wonderland (or indeed home for the holidays) project! 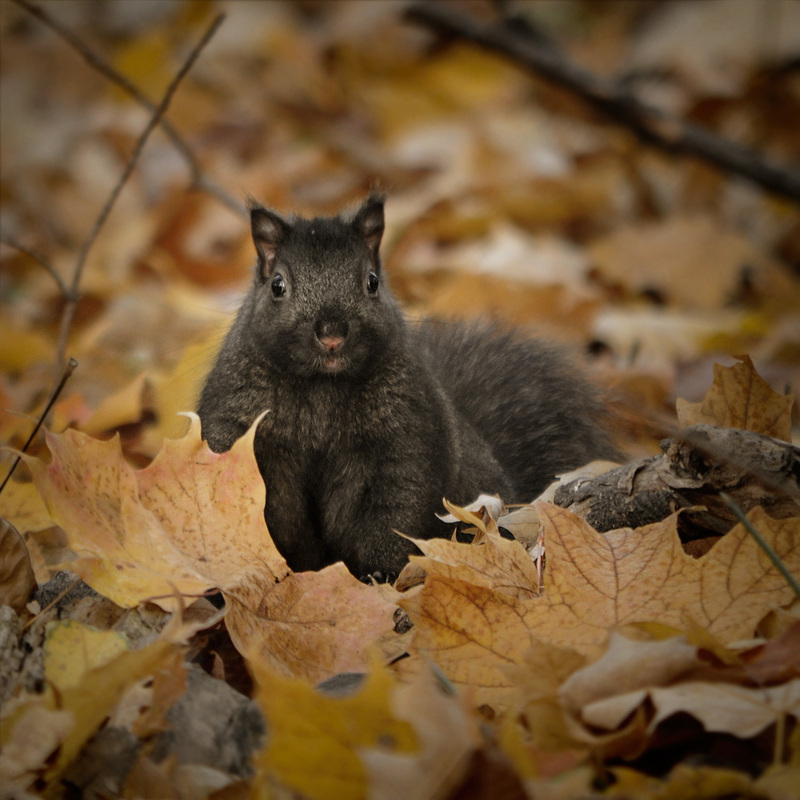 Your wildlife photos always take my breath away!!! Love your frame, so delicate and so VERY beautiful. Your photos as Margaret said you should have published, they are amazing so much detail. AND you have the animals, literally, eating out of your hand you have so much patience with them. Have been awol, due to lots of things, but hope to be getting back to normal now. Lovely card. Love the nature photos. 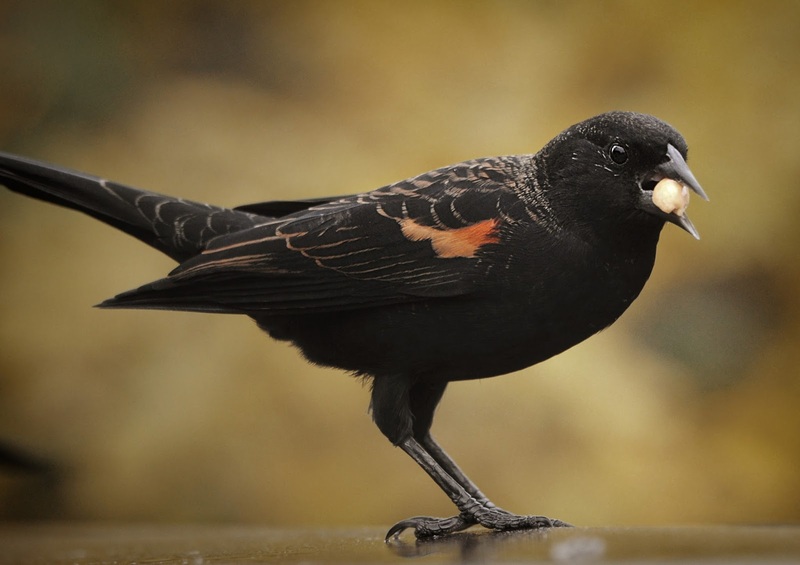 I love Red Winged Blackbirds or agelaius phoeniceus..i studied those in school and they are so amazing. Beautiful work Pamellia, I love the crackle effect and touch of bling. Talking of beautiful, stunning wildlife photographs, amazing clarity and framing ... but then you do have the most amazing models. The icy blue color palette is wonderful for winter. I'm loving all the wonderful texture and layers here! Woooow, this is definitely the most beautiful Christmas decoration I saw this season, Pamellia! 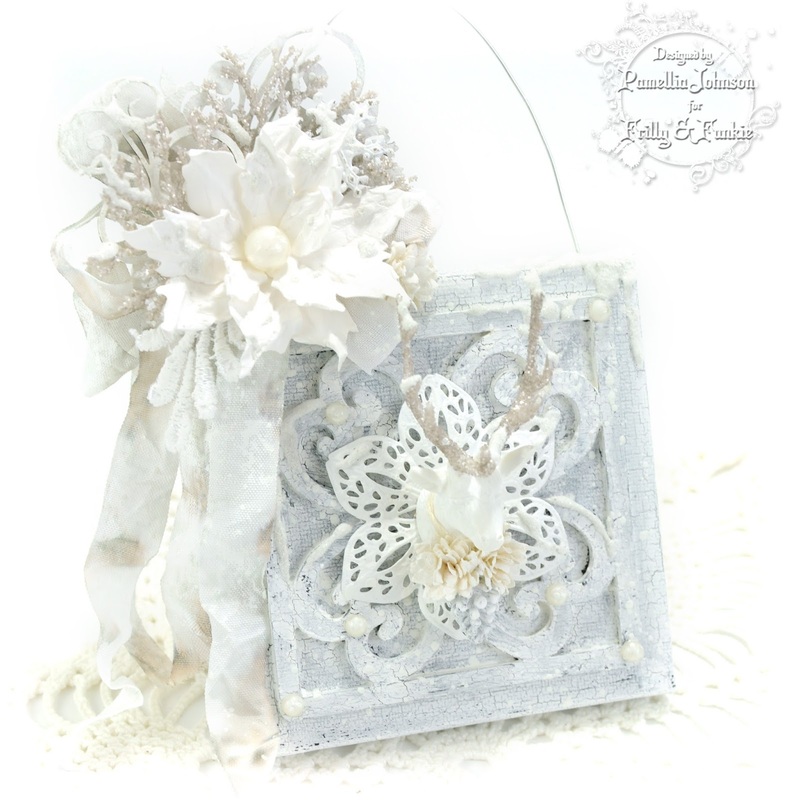 So soft, so shabby, so frosty, so brilliantly done! Those glittered antlers are simply stunning and your crackles are, as always, perfect! What a spectacular poinsettia and what a super gorgeous festive foliage arrangement! I adore every single inch of this marvelous piece of art, my lovely friend! Another portion of beauty from you that really made my day! I could look at your fabulous photos for hours! 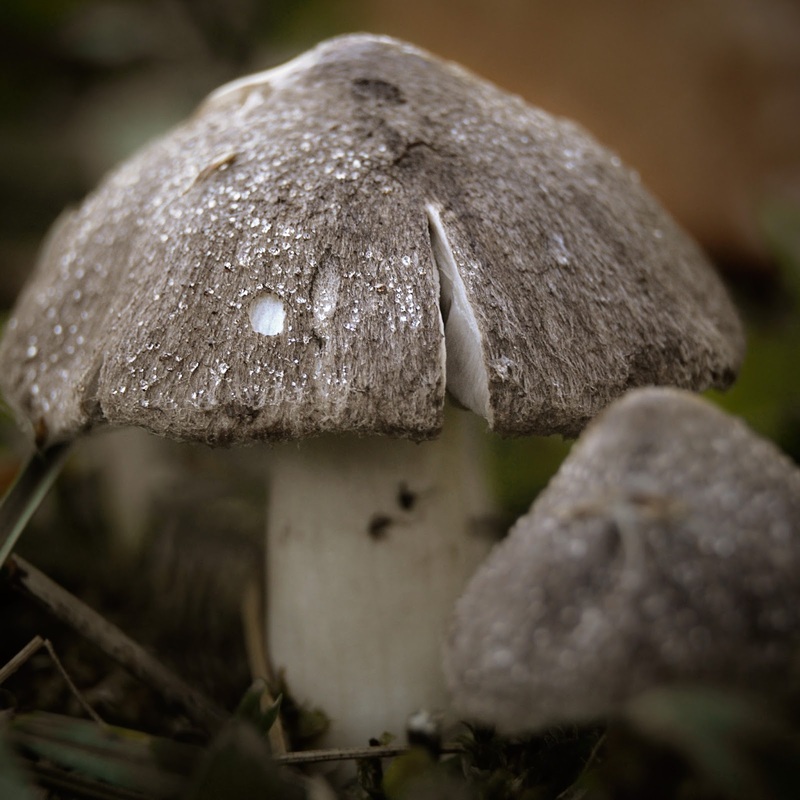 Your macro photo is exquisite! 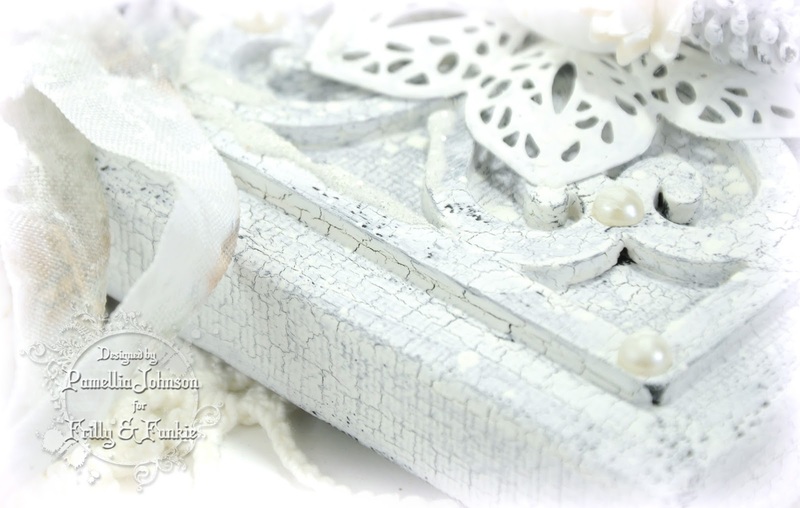 A frostily fabulous canvas frame - absolutely stunning work as always, Pamellia. I know I must have missed lots of treats here, but I'm looking forward to having some proper catching up time over the festive season. And the nature photos are again outstanding - is there a book in the offing?! 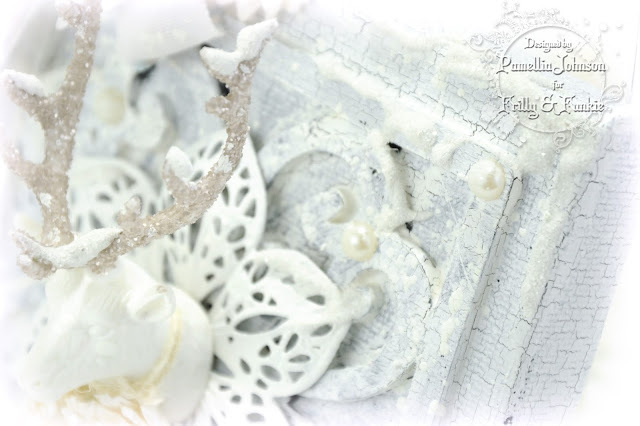 A beautiful, delicate and delightful piece of home decor Pamellia, I love the gorgeous textures and elements you have so cleverly put together. Wonderful nature photos as alway and beautifully written anecdotes and narratives to accompany them. I read the story of Bon Jovi with a very heavy heart. This is nothing other than stunning. So sad about Bon Jovi. Frilly and Funkie - What a Mesh!